If you regularly watch the NASCAR Xfinity Series than you’ve probably heard the name Ryan Sieg. 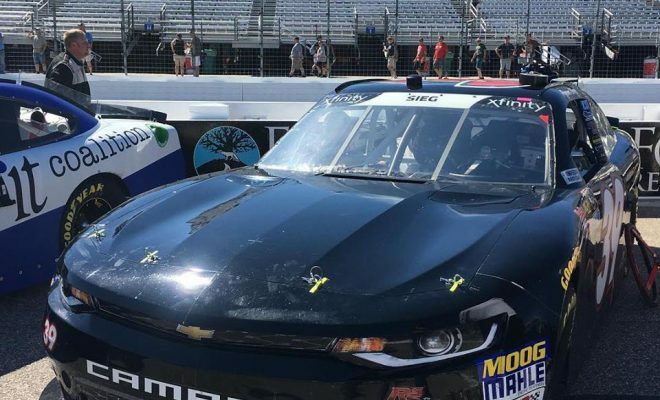 This past weekend the NXS visited the 1.5-mile oval of Kansas Speedway for the Kansas Lottery 300. The 200-lap event would end up being one of the best races this season for Sieg and his No. 39 Frank Foster ‘Til I’m Gone Chevrolet, earning his second top-10 of his 2018 campaign. With a new sponsor on board the No.39 this weekend Sieg took the checkered flag in the 19th position and was able to stay out of trouble, including a lap 1 crash that took out multiple title contenders out of the race including Justin Allgaier. Sieg would have fantastic finishes in both the first and second stages with finishes of 13th and 9th, respectively. Kansas has been a track throughout Sieg’s NXS career that he has been quite consistent at. Saturday’s Top-10 result was his second top-10 at the track in six starts. His best finish at Kansas, an 8th place result came back in 2015. If you’re unaware Sieg owns the team in which he races for, RSS Racing. Sieg himself has had a consistent season, bringing a variety of sponsors on board the 39 Chevrolet, including new ones for this season like Lombard Brothers Gaming, Mike D’s BBQ and Larry’s Hard Lemonade to name a few. Other sponsors such as Code Rum and Night Owl Contractors returned to the team after each sponsored a race for Sieg last season. In 30 races this season, Sieg has two top-10 finishes, 6th (Spring, Talladega) and 9th place result at Kansas last weekend. Furthermore, he has an astounding 19 top-20 finishes which is awesome for a small team such as his. Looking back on all of 2017 Sieg had 16 top-20 finishes over the entire course of the season, therefore, it shows improvement for the organization and driver. 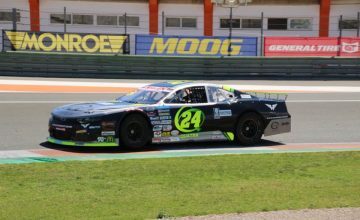 I recently had the opportunity to ask Sieg some questions about his season, his team, racing in general and Kansas Speedway this past weekend. Here is what he had to say. Sarah Handy: You had a great run this past weekend at Kansas. How was the car throughout the stages? Ryan Sieg: Car was decent all race long. The mile and a half tracks seem to be our strong point as a team. The reason we finished 9th is because we missed the wrecks and stayed out of trouble. SH: Is Kansas normally a track you enjoy racing at? Is there anything challenging that sticks out aside from other tracks on the schedule? RS: I like all the mile and a half tracks. Kansas is fun because there are multiple grooves you can run. I tend to be a bottom feeder. We aren’t in a position to run up against the wall and risk it. SH: In regard to your Tweet after Kansas do you personally feel if the smaller teams got more TV time and content done on them it would help more with potential sponsorship or some sponsors returning? From my standpoint it seems it would but what are your thoughts? RS: Yes, for sure. Myself, Clements and Labbe ran in the top 10-12 the entire race and not even a mention of it. I’m pretty sure Garrett Smithley finished 10th in stage 1 and not even a mention of that. Chad Fincham was running in the top 15 which is huge and not a thing about him. 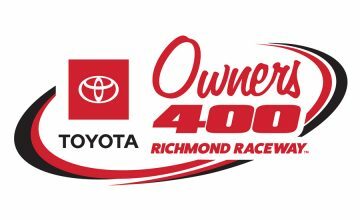 I mean half the field in XFINITY goes out every week and we get our asses kicked by teams with 5 times our budget and we understand that. So, the 2-3 times a year where we get to run decent even because of wrecks or even it being plate tracks we would like a little coverage on TV mostly for sponsors. If you missed Sieg’s tweet after Kansas, here it is. SH: You’ve had a consistent season and run well. Are you happy with how the season has gone for RSS Racing as a whole? RS: Yes. We have had a decent year for what we try and do. Get rid of the road courses and I bet we have a pretty solid average finish. SH: With Texas as the next race on the NXS schedule, the great finish at Kansas must carry momentum for yourself and the team? RS: It’s nice to have a little momentum for sure and Texas is a great track for me. SH: They always say the plate tracks are one of the best tracks for the smaller teams to win at but with how you’ve run this season…realistically you could win, and you’ve shown you can run towards the front. Do you ever feel like you could ‘steal a win’ so to speak from the bigger organizations on a non-plate track? RS: Yes, I really feel like anyone can win at the plate tracks. We have been close a few times. One of the problems is the big teams don’t like working with the small teams. So, it’s hard to get the push at the end. SH: Speaking of Talladega what do you think about the new rules package for 2019? RS: I don’t think it will be a big difference honestly. SH: For those that many not be too familiar with you or RSS Racing, how did you get your start in racing? SH: Do you have any drivers past or present that you have or currently look up too or go to for advice? RS: Honestly not really. There are a ton of great guys in the XFINITY Series that I get along with tho. SH: What’s the most challenging thing about being an owner and a driver in NASCAR? RS: Mostly the money aspect. You can go broke racing in a hurry. We pinch our pennies. SH: What’s your favorite track on the NXS schedule? Is there a track you wish was on the schedule that isn’t? RS: Dover. I always run well there. SH: Do you ever have any future hopes of bringing RSS to the Monster Energy NASCAR Cup Series? RS: Yes, we do. But you need a charter for it to make sense. And a charter costs about 2 million dollars. SH: What are your thoughts on stage racing? Do you feel it benefits someone like yourself? RS: It keeps us on the lead lap some weeks, so I like that aspect of it. SH: Did you set any goals for this season? If so, did you achieve them? SH: Do you have any expectations for 2019? RS: Where we run pretty much depends on how many well-funded cars there are. It’s the truth. We aren’t going to beat those guys on a consistent basis, so we got to finish the best we can and beat the cars we need to beat. If you’re interested in following Ryan on his social media platforms and don’t already do so, I’ve provided the information below. Thank for giving Ryan some coverage he deserves! Even if you did not mention Alabama Soda & Abrasive Blasting his sponsors for the P6 Taladaga race this year and P12 the year before when running in top 3 with two laps to go. But like Ryan said no help from bigger team. His guys work so hard it amazing! I’m sorry about that Jim, are you returning for 2019? I would like to include you in an article if that’s the case. I’m very sorry about the error.